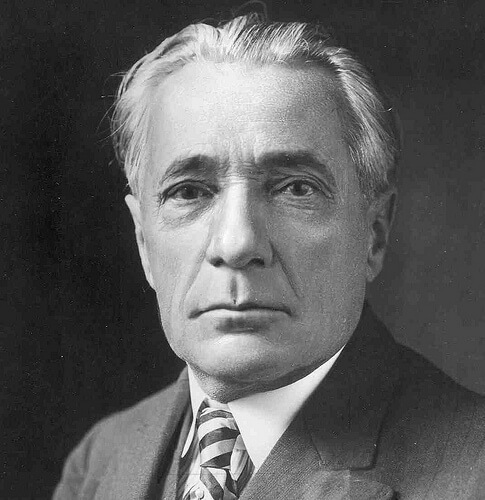 4 days after they lost the court case forcing the name change, Henri Desgrange announced his plans for Le Tour de France in L’Auto. The original itinerary was for the race to start on 31st May and finish on 5th July. 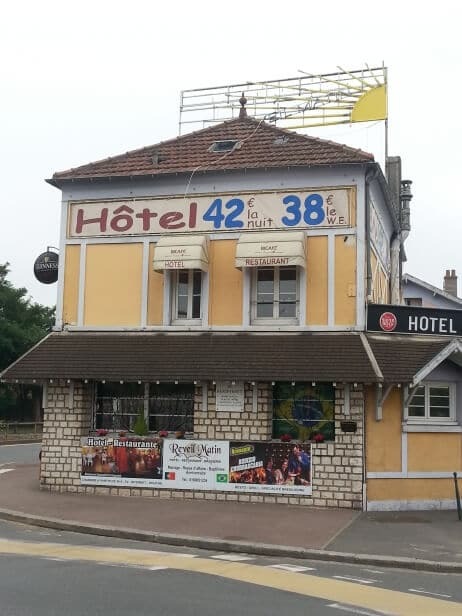 with an entry fee of 20 francs. One week before the race was due to start, only 15 riders had signed up. 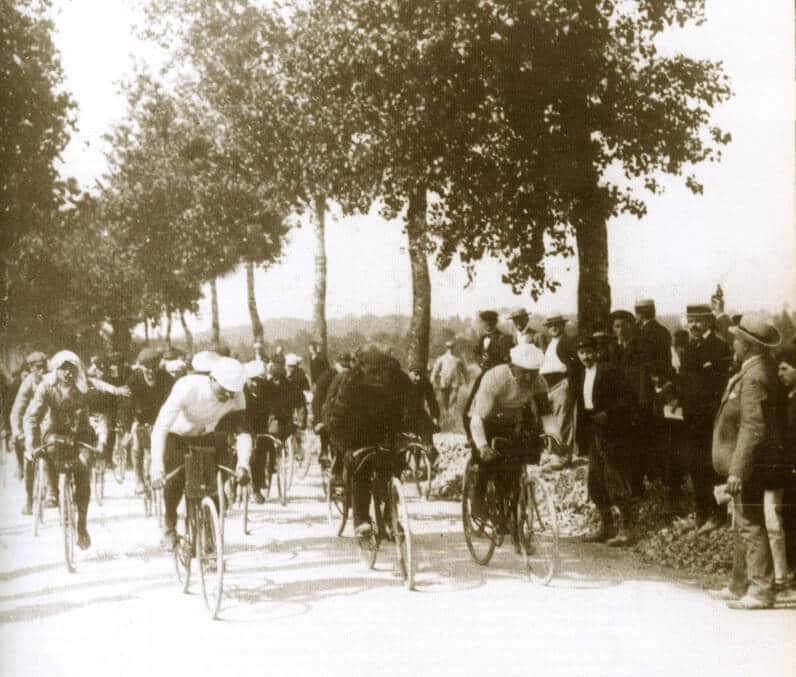 Desgrange fearing disaster rescheduled the race to start on 1st July and finish on 19th July, He increased the total prize money to 20,000 francs, reduced the entry fee to 10 francs and guaranteed to pay five francs a day to the first 50 cyclists in the classification. By 1st July 79 riders had entered the race, of whom 60 showed up at the start line. 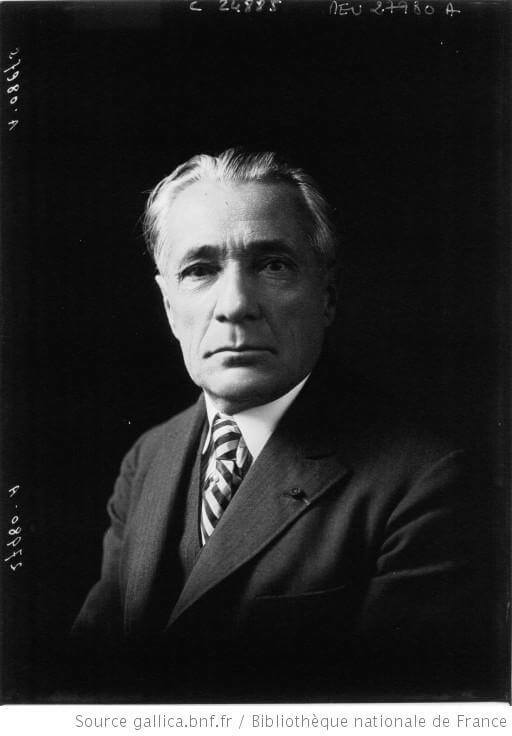 Géo Lefévre became the director, judge and time-keeper; Henri Desgrange was the directeur-général, he did not follow the race, choosing to stay in Paris where he could distance himself from the race if it flopped. 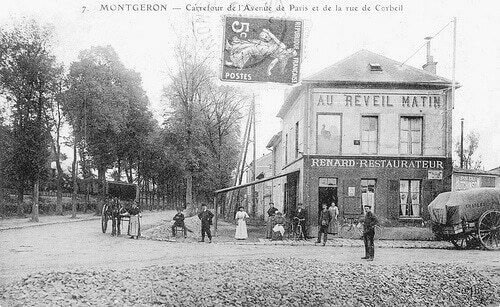 The 60 riders departed from the Cafe au Réveil-Matin in Montgeron on the south side of Paris at 3:16 PM on 1st July 1903. 21 were sponsored professional riders. Desgrange stationed race officials along the route to make sure that the riders rode the entire route. From the beginning Desgrange wanted the race to be a test of an individual’s endurance and strength. 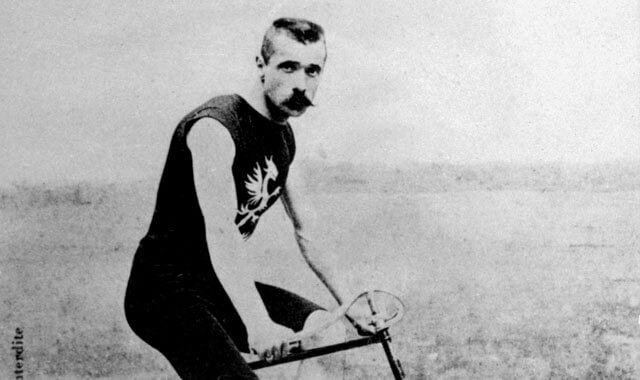 In 1903, it was normal for a professional cyclist to hire pacers, who would lead them during the race in much the same way pro teams do now. Desgrange forbade this. 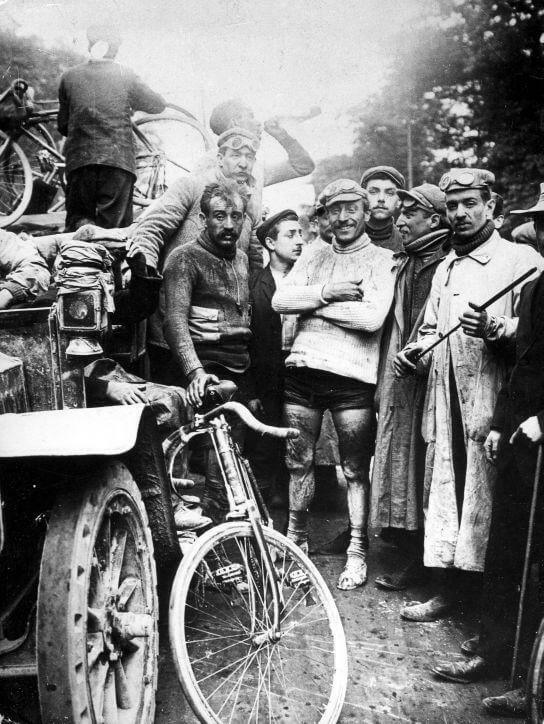 Many of the riders including eventual winner Maurice Garin, doubted that it would work. 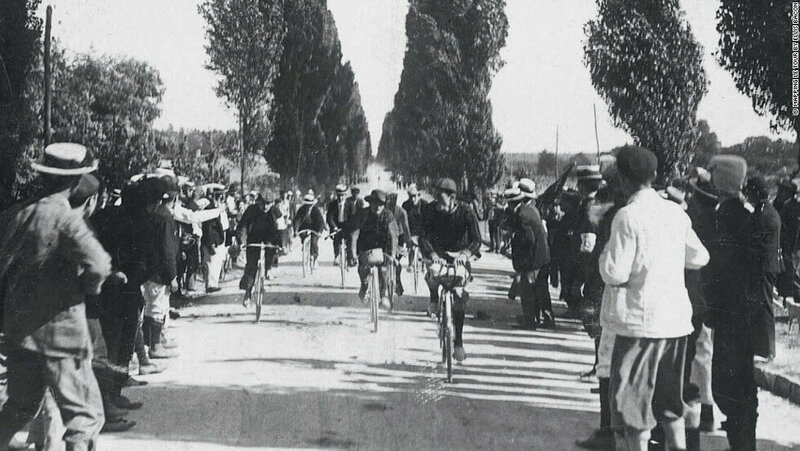 In contrast to modern stage races, a cyclist who gave up during a stage was allowed to start again the next stage, although he would no longer be in contention for the general classification. 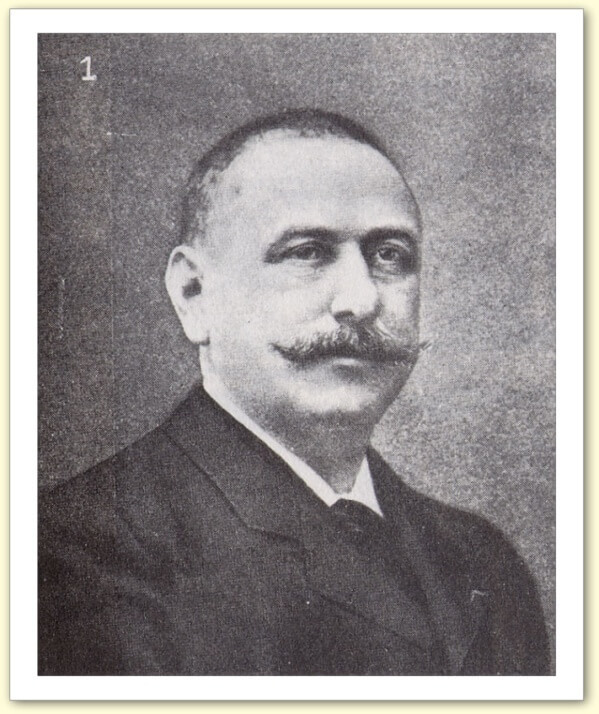 Hippolyte Aucouturier, abandoned during the first stage. He was allowed to race the next day and won the second and third stages. Charles Laeser, winner of the fourth stage, had not completed the third stage. Of the 60 riders, 49 were French, 4 Belgian, 4 Swiss, 2 German, and one Italian. The french riders Maurice Garin and Hippolyte Aucouturier were the favourites for overall victory. Garin dominated the first stage and won in Lyon having raced through the evening of the 1st July and throughout the night to arrive in Lyon about 09:00 on 2nd July. The second rider Paige was 1 minute behind Garin. Garin was now the first GC leader and was given a green armband to wear. 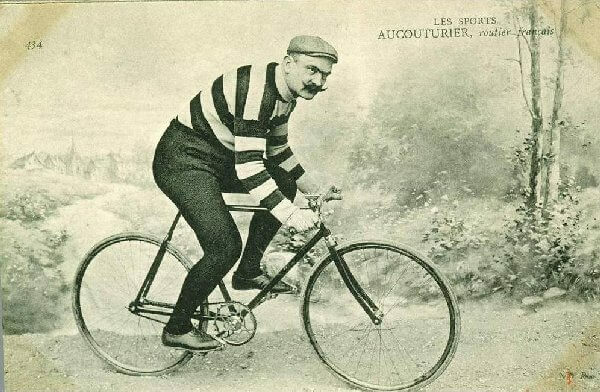 The yellow jersey was not introduced until 1919. 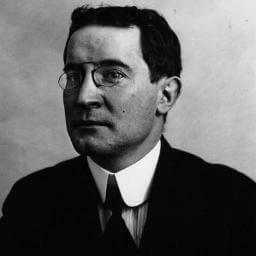 During the night, Garin’s main rival, Aucouturier, had stomach cramps which were believed to have been caused by drinking red wine and abandoned the stage. Jean Fischer become the first rider to be caught cheating. He had used a car as pacer, which was illegal. There is no record of what if any penalty was imposed on him. 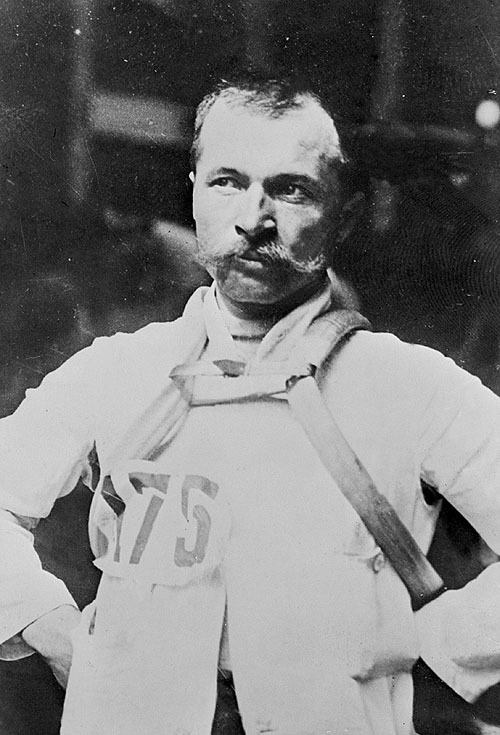 In the second stage, Aucouturier had recovered from his stomach cramps won the sprint. In the third stage, the cyclists who were competing for the general classification started one hour earlier than the other cyclists. 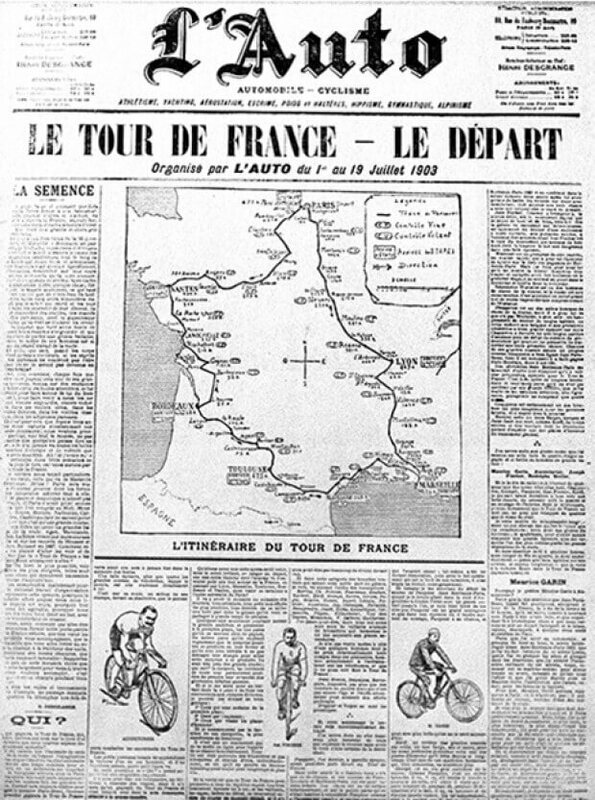 At the end of that stage, a group of four cyclists had broken away, and Eugène Brange won the sprint. Aucouturier finished 27 minutes later, but this meant that he had run the course 33 minutes faster, so he was declared the winner of the stage. Garin retained the lead. 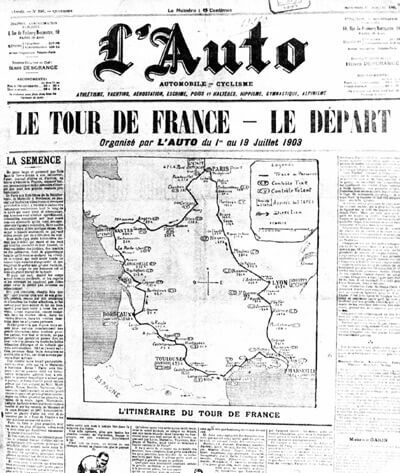 In the fourth stage, Aucouturier had a clear lead and seemed set to win a third successive stage, but was caught using the slipstream of a car, and was thrown off the race. The Swiss rider Charles Laeser took the victory, becoming the first non-French winner. 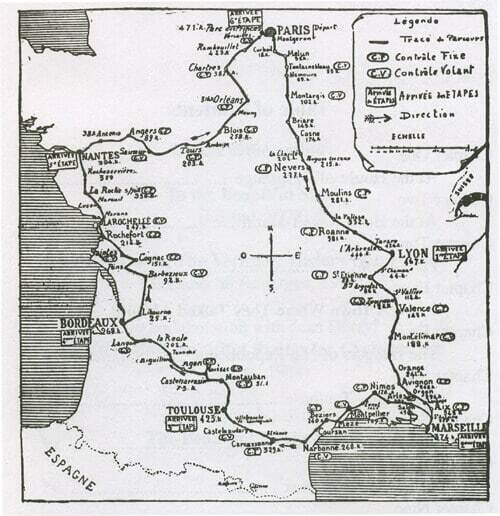 The 1903 Tour de France crossed no major mountains, but several small climbs were included. The first was the col des Echarmeaux 712 m , on the first stage from Paris to Lyon. The stage from Lyon to Marseille included the col de la République, 1161 metres altitude near St-Etienne. As in the third stage, the cyclists departed in two groups, and Laeser was in the second group because he was no longer contending for the general classification. Laeser finished more than 50 minutes after a group of six cyclists, but he had travelled the distance 4 minutes faster than them, so he was declared the winner. Garin now had a lead of almost 2 hours over the second placed rider, Emile Georget. In the fifth stage, Georget abandoned the race after 2 punctures an an unscheduled sleep by the side of the road. Garin won the stage and was nearly 3 hours in the lead going into the final stage into Paris. 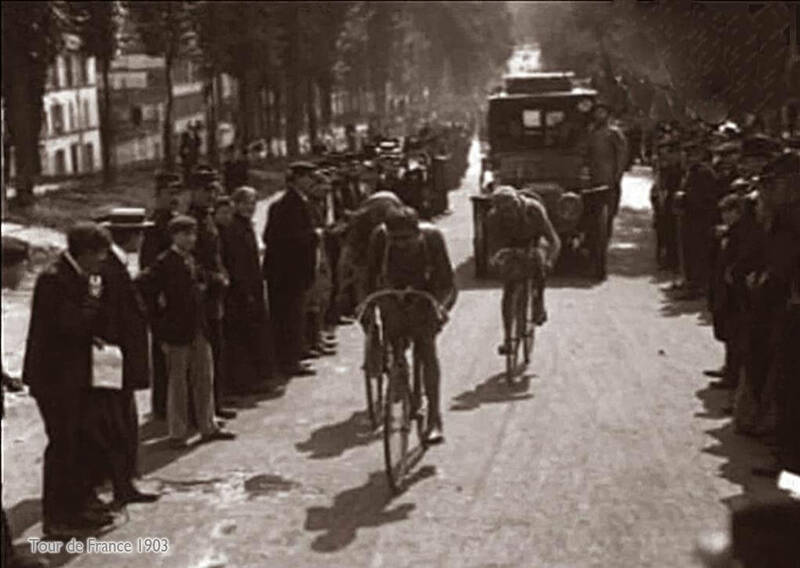 The last stage was the longest, at 471 km, from Nantes to the Velodrome in Paris, where 20,000 paying spectators saw Garin’s third stage win, as he sealed overall victory by 2 hours 59 minutes 31 seconds: this remains the greatest margin of victory in the Tour de France. 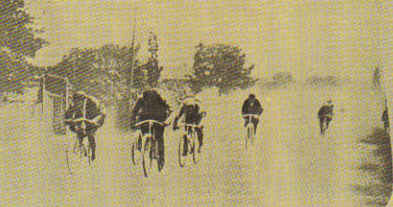 The average speed for the 1903 Tour was 25.6 km/h. 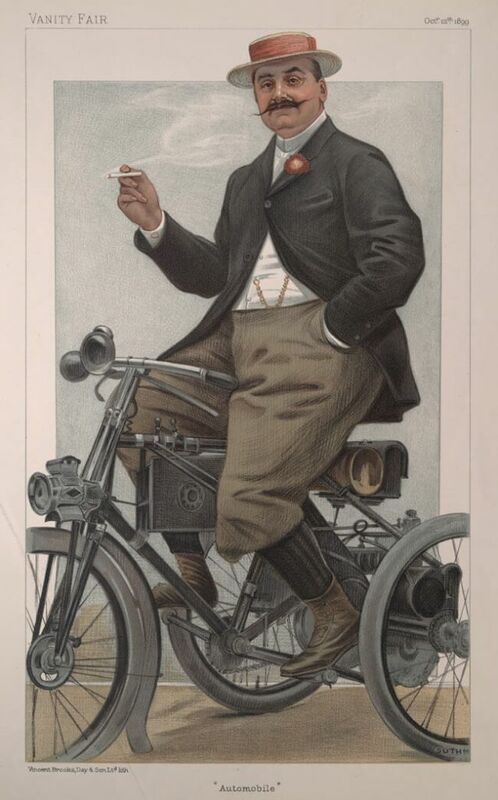 With the prize money that he won in 1903, which totalled 6,075 francs, Garin later bought a gas station, where he worked for the rest of his life. The Tour had been a huge success and Desgrange quickly set about planning for 1904. 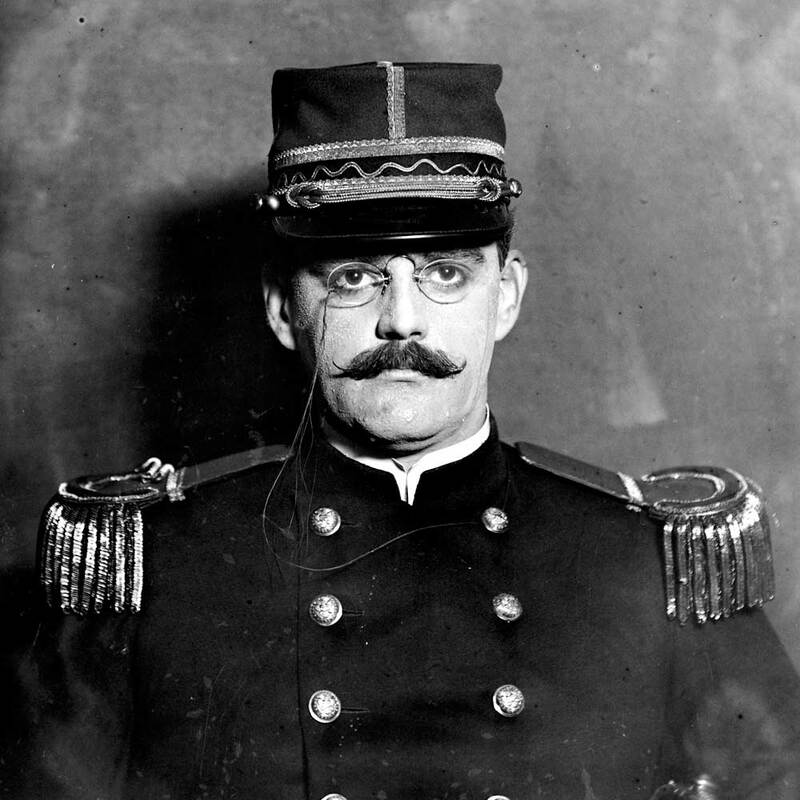 The racers were national heroes restoring pride to France after the bad years of the Dreyfus affair.